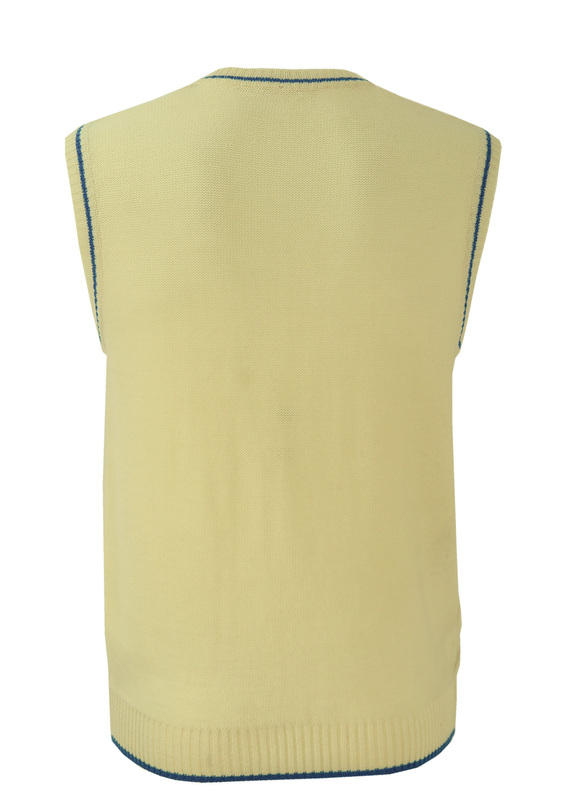 Virgin wool, cream sleeveless jumper/tank top with lovely cable knit detail and blue trim at the v neck, sleeves and hemline. 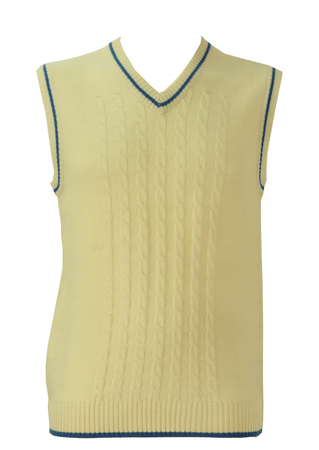 Cream Cable Knit Detail Sleeveless Jumper / Tank Top with Blue Trim – S/M. 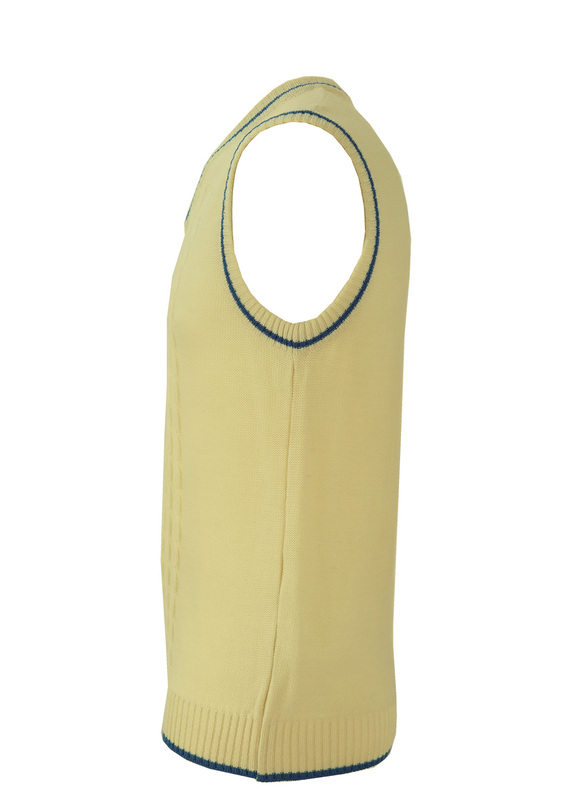 As the jumper has some give to it we have sized the garment as a size S and M. All measurements have been taken non stretched.